Villa directly on the beach, heated pool (12 x 6) & private tennis court. 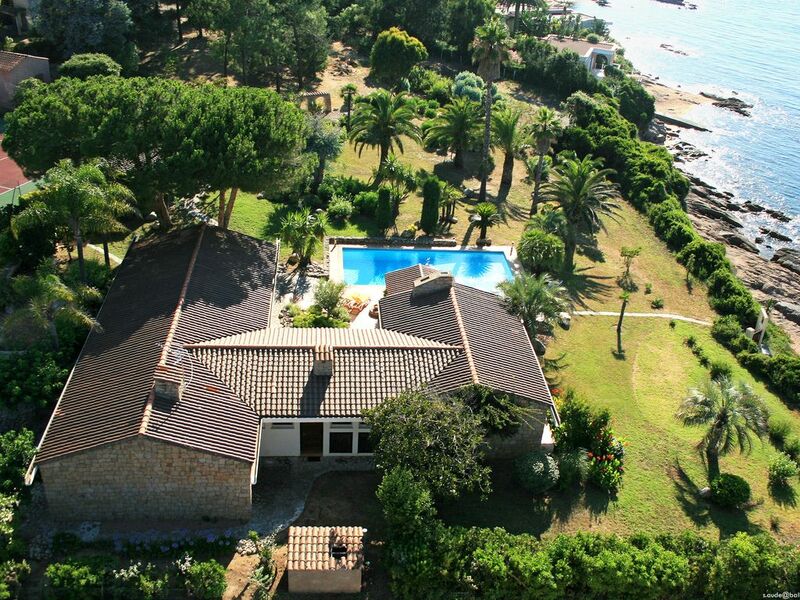 Facing Ajaccio, this villa has an exceptional location. The villa is located at the far end of a secure lot and close to all amenities. The location is ideal, without any nuisances, and 70 m from the sea. You can rent a small house in addition that sleeps 4 on a 2,000 sq.m lot next door planted with trees. Option is available upon request. Outdoor pool (12 x 6) is heated, treated with oxygen shock, hypo-allergenic, and equipped with alarm. Un forfait ménage sera demandé, en fonction de la période, du nombre et du profil des clients (nombre d'enfants).